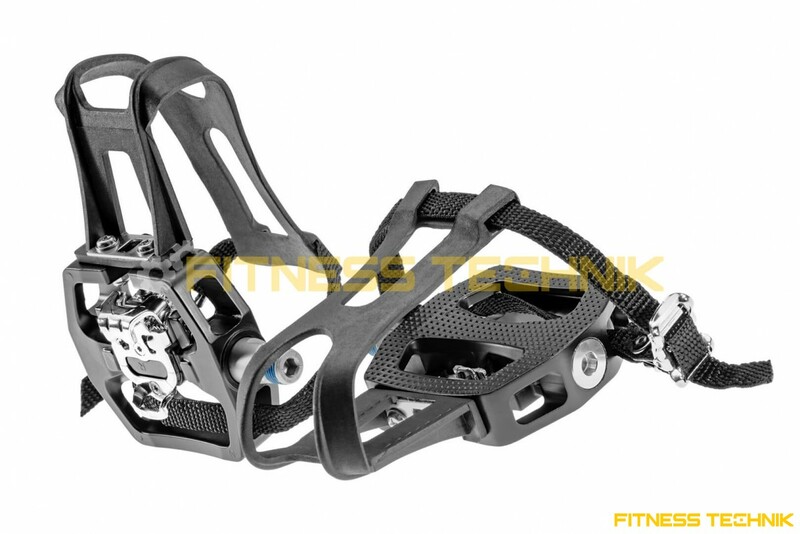 SPD dual-function pedals used in group training bicycles among others, series of Star Trac, Tohamawk, Livestrong, Matrix. 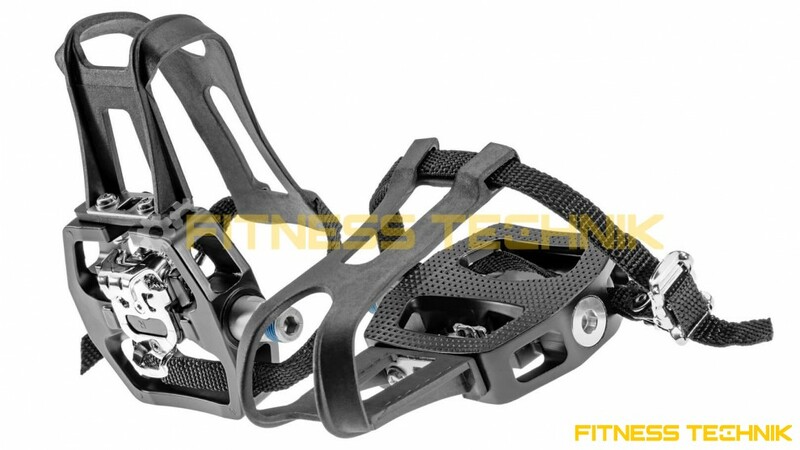 Double-sided with one side of the latching mechanism SPD, on the other classic universal basket for sports shoes. Heavy duty construction based on body made of aluminum and support made of Cr-Mo steel (chromium-molybdenum alloy). Pedals offered in sets of pairs. Straps included.